Sydney Local Health District is a public health service. We work alongside other healthcare providers in our community. These are people like your local doctor or GP (General Practitioner) and other non-government organisations. Our teams are always working hard to make sure you can easily access the right services for your family when you need them. 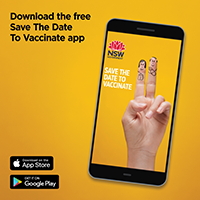 For more information about Sydney Local Health District click here.